I don't see them either but I do have them in my file on my computer maybe they have been put in the gallery. Their on page 34 it seems Tanja. Here my pics again!! Thanks @Tina for helping me !! Thanks a lot Tanja! I'm happy it worked out posting them here. Fantastic photos. You are so lucky. So close again to Simon . I'm glad you got them back they are very good pictures and again I'm jealous thanks for posting them again. 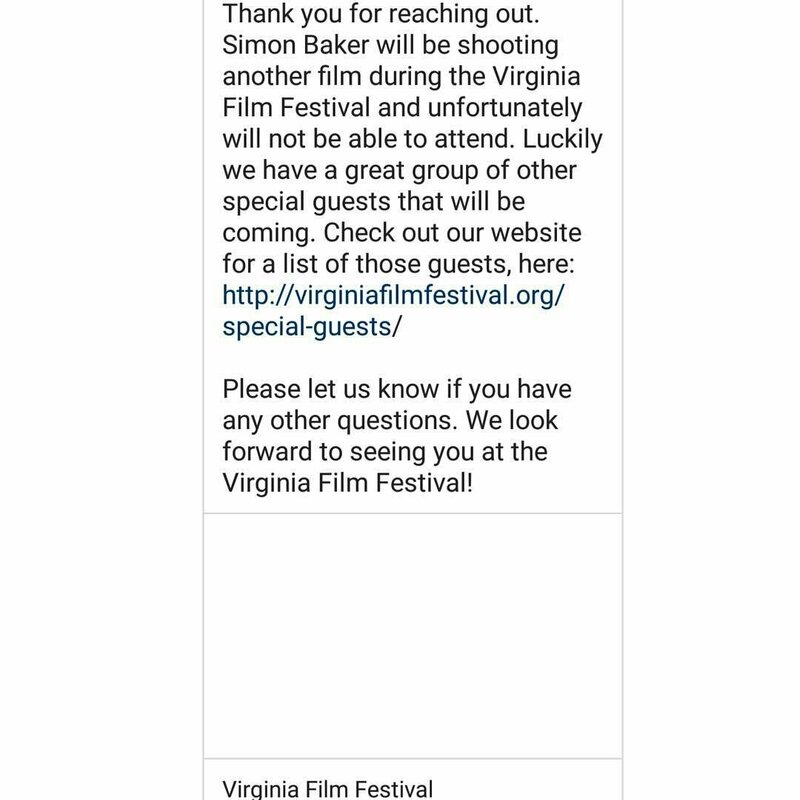 On instagram it says Simon will not be attending the Virginia film festival as he will be shooting a new film at that time. Does anyone know anything about this? Is it 'the man in the corner'? Interesting news, Tassie. I hope it's true. Simon in a movie in any capacity would be great! no kidding another one to his long line of films if its true then we all will be behind him 100% wishing him good luck with his new adventure I will. Thanks Tanja! The pictures are fantastic. I am excited to hear about another film that Simon is going to be in. I bet that it's not Man in The Corner, though as he is going to be directing that one also I think. Regardless, it will be great to see him on a screen again. Still hoping that the US will be part of the release market for Breath. I didn't find anything on IG or anywhere about Simon shooting a new film. Do you have the instagram link of this message you mention Tassie? Hi DSP, don't know if this is where I first saw it but http://virginiafilm festival.org/special guest and Connie@TunneyBaker)/Twitter. Hope this helps. Wow thanks Smilygirl for putting that up because I tried to follow the link Tassie put up but it would not go to the website. How are you all well I hope thanks for sending the email and link I always look forward to our chats and the pictures you wonderful people send us. Thanks again.